If you know Etsy, Alibaba, Ebay system, you must know how effective of this business model. They’re beging a huge success and you know they’re all Marketplace. The marketplace is a special kind of online store where buyers and sellers are meeting each other in an easily way. RELATED POST: Marketplace model and development opportunities of e-commerce. To use the Magento Marketplace as a vendor, the first step is register an account. Step 3. The system will show the form to complete the information for Vendor/ Seller like Shop Name, Contact Number, Shop URL. Step 4. Finish the required fields. After signing in, seller will view the Seller Account Management. This section will give an overview for seller about sales, orders, income like Today’s Sales, Today’s Orders, Incomes, Orders chart, and Sales report. When create a store, sellers need to provide basic information for customer about their store name, description, policies. 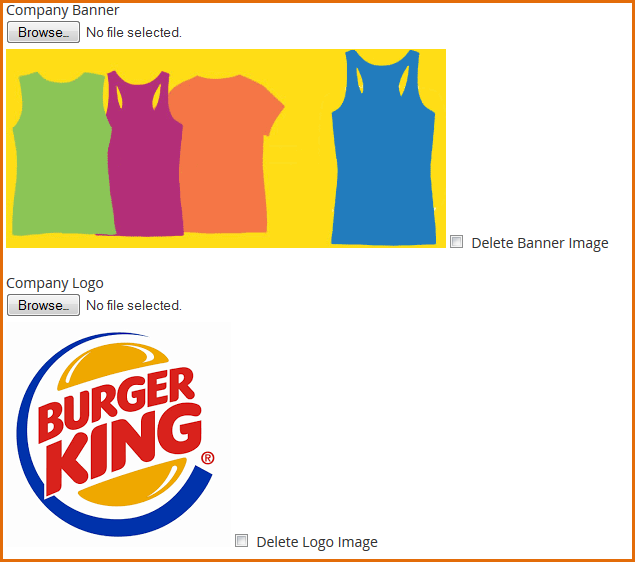 Company Banner: Click Browse to upload banner of store from your computer. You can delete the image by checking on chechbox Delete Banner Image and then click Save to delete banner. Company Logo: Click Browse to upload logo of store from your computer. You can delete the image by checking on chechbox Delete Logo Image and then click Save to delete logo. Shipping Policy: Enter the store’s rules regarding the shipping. There are 4 types of product: Simple, Downloadable, Virtual and Configurable Product. 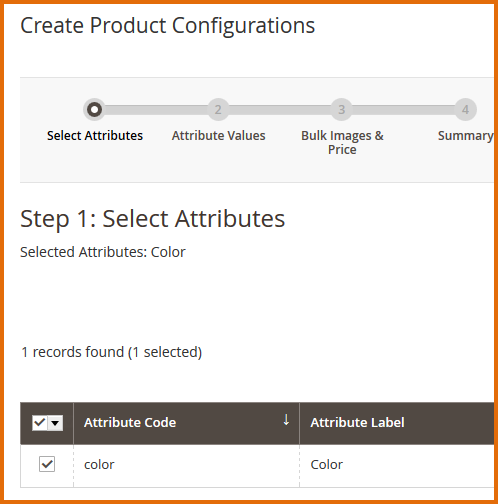 After choosing 1 of 4 types of product, you will fill in data to add a new product. It is a basically knowledge about Magento Products. You are ease to add product. A. 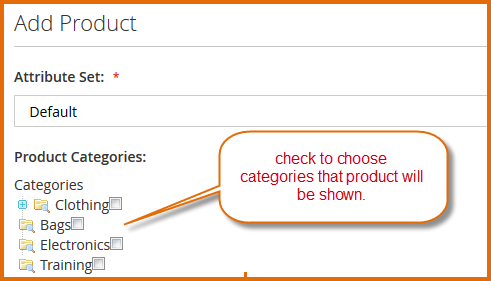 Choose Categories for the product. 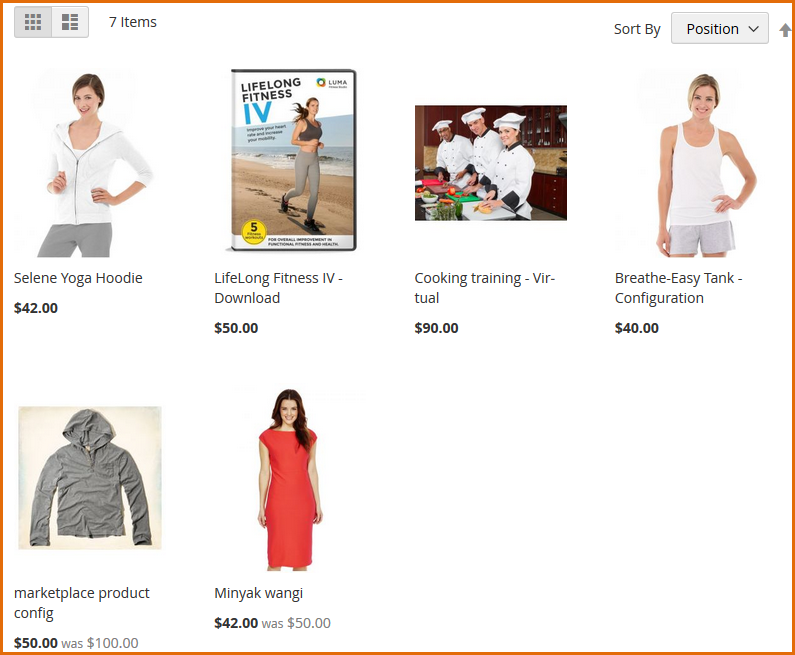 Sellers can choose multi categories to display product in their store. B. Upload Image for the product. Magento supports many type of price. They are useful for sale, promotion campaign like special price, special price from date.. to date. It is a field allow seller can describe a feature of product by separating it from the option’s title and give it a price. 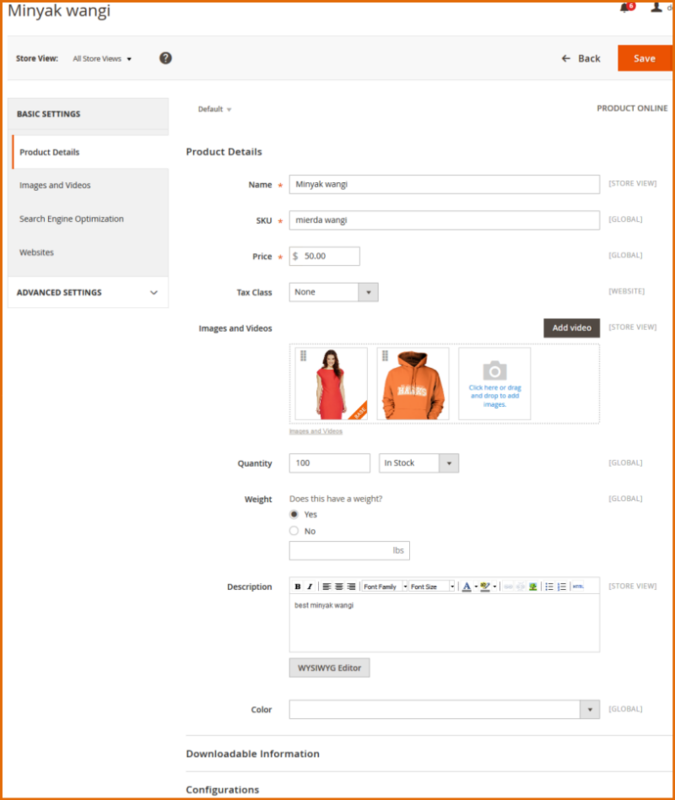 Magento Marketplace Extension supports 4 types of product: Simple, Downloadable, Virtual and Configurable Product. 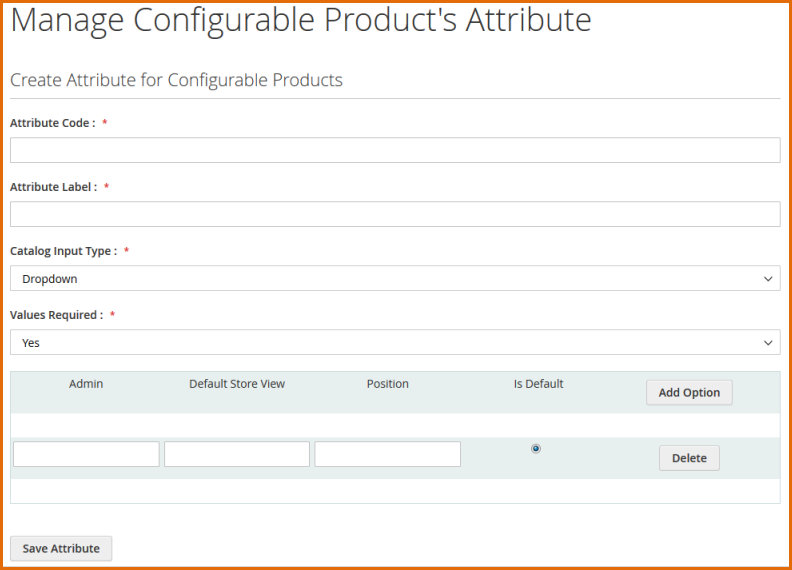 If you have a configurable product in your store, you need to create attribute for product. 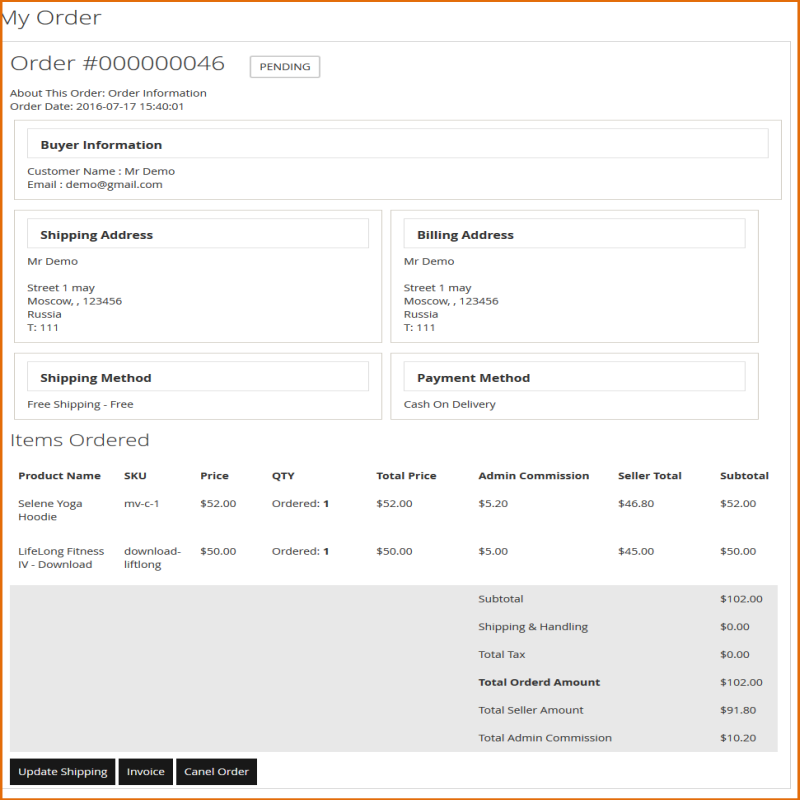 When customer buys products on your store, the orders will be managed in this section. Easy to search the order by Order ID, by Date, by Order Status. Step 2. System navigates user to Order Details page. In the Order Details page, sellers can view the information like Buyer Information, Shipping Address, Shipping Method, Billing Address, Payment Method, Ordered Items. Seller also can update shipping, add tracking number, print the invoices or cancel order. Click on Update Shipping button. 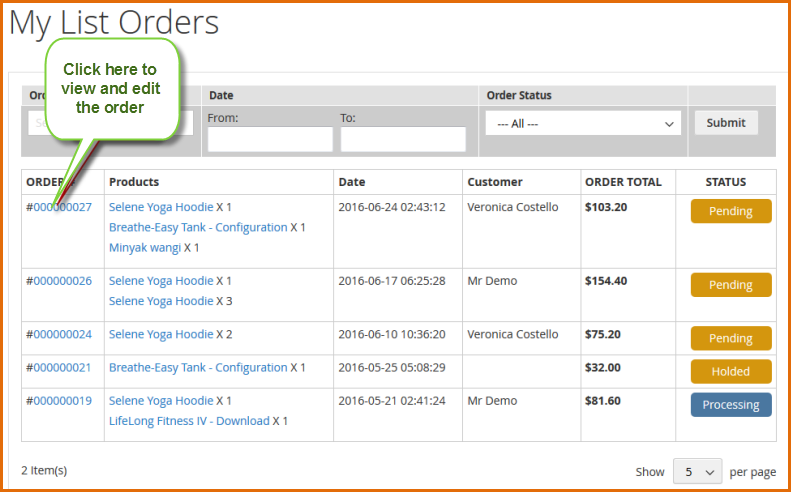 System will show a form to update like Carrier, Title of Shipping, Number of Shipping, Shipment Comments. The Withdrawals section will show you the withdrawal request list and withdrawals history. 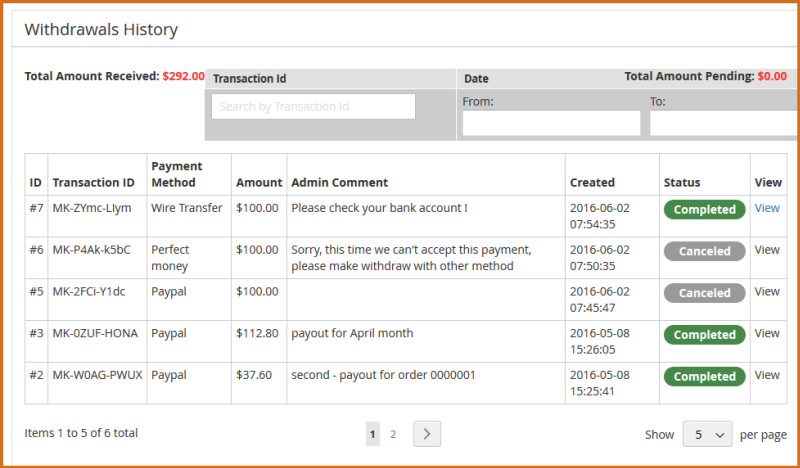 In this list, vendor can view the Withdrawals Method by using Paypal, Skrill, Payoneer, Perfect Money, Wire Transfer and their description.Vendor can view all Withdrawals Medthod that configure by admin like Paypal, Skrill, Payoneer, Perfect Maony, Wire Transfer..etc.. 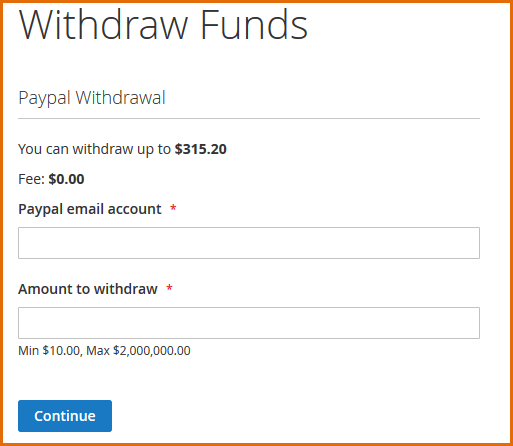 Amount to withdraw: Type amount that you want to withdraw. 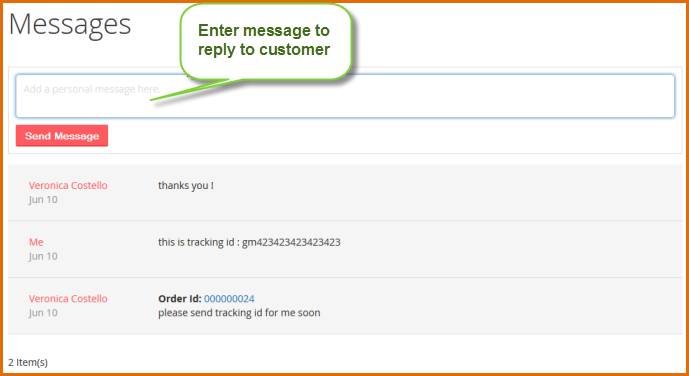 When customer send the message to user about product, orders, the messages will be managed in this section. 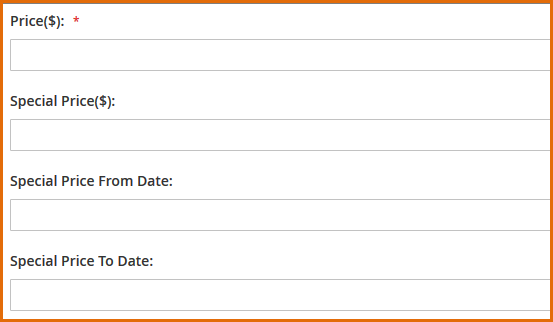 As you can see in the list, vendor can view the date that message is sent, the sender name, the subject of message and the last message content. Vendor can view and send a reply to customer also. A. To view and send a reply to customer, click on View link. System will navigate vendor to Message Details page. You can reply to the customer by entering the message content then click Send Message. At product details page, customers can ask sellers about product information by click on Ask Question button. 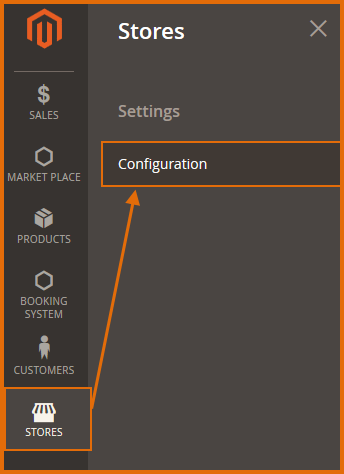 Magento Multi-Vendor Extension will show the popup message for customer to input message. 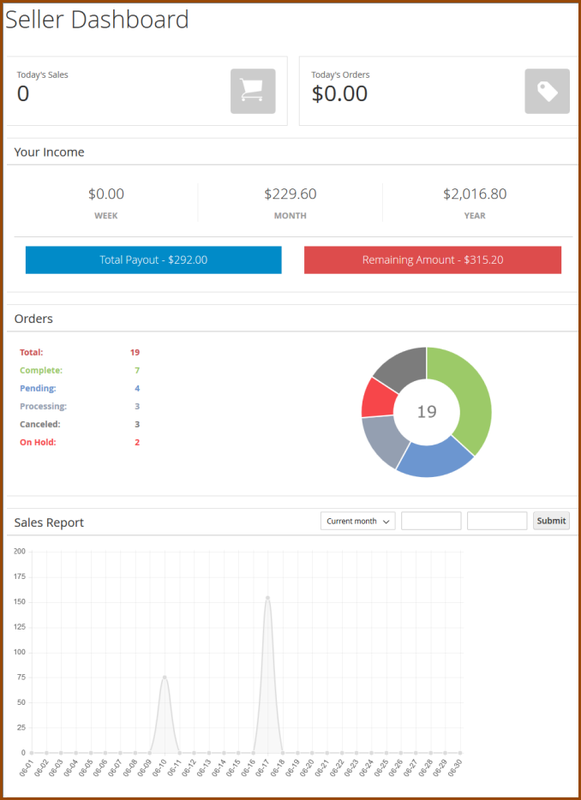 It displays Earn Amount, Total Sale daily. It is a useful feature that helps seller to have an overview for daily sales. Time range is in 7 days. When seller start adding a new product to their store, they want to know how effective of selling product, how many times it is clicked on their store, how many item they sold.This section displays Number Views, Units sold, Earn Amout of each product. It helps seller know does their product sell good. 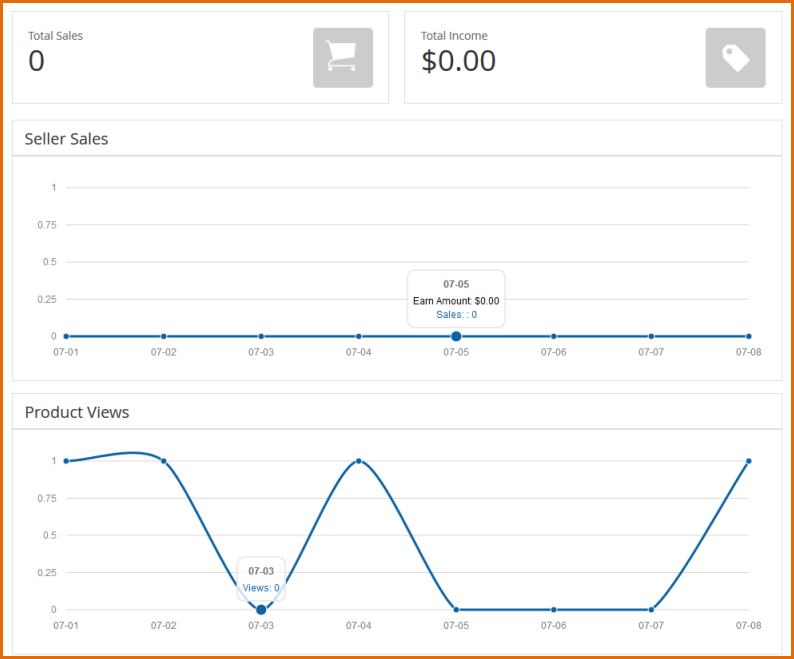 When seller start adding a new product to their store, they want to know how effective of selling product, how many times it is clicked on their store, how many item they sold.This section displays Number Views, Units sold, Earn Amount of each product. It helps seller know does their product sell good. This section provides you configuration details of Magento Multi Vendor Marketplace. It describes how to configuration Magento Multi Vendor, how to manage Sellers Product, Seller’s Sales of it after installing the Multi-Vendor Marketplace. 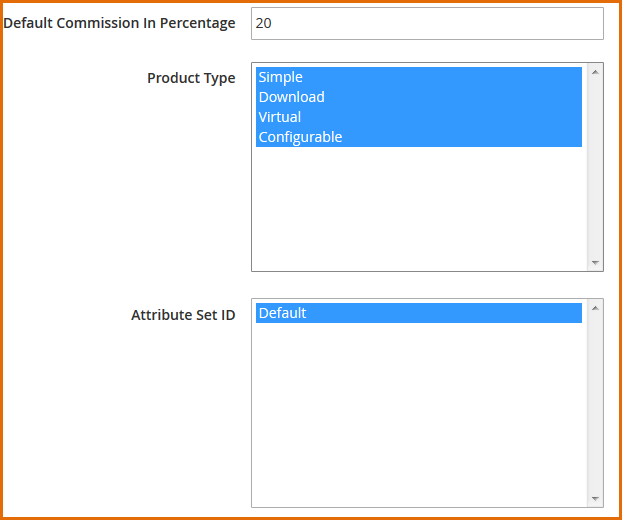 Default Commission in Percentage: Type percentage number to set commission for product selling price. When admin input the default commission, the value will be applied for all seller. Seller Approval Required: To enable the administrator to appove a seller. If a value is No: seller account will be approved automatic when the user creates an account as a seller. If value is No: product will be approved automatic when sellers create product for their store. If value is No: when sellers update product information, it will be approved automatic and display updated information in frontend immediately. 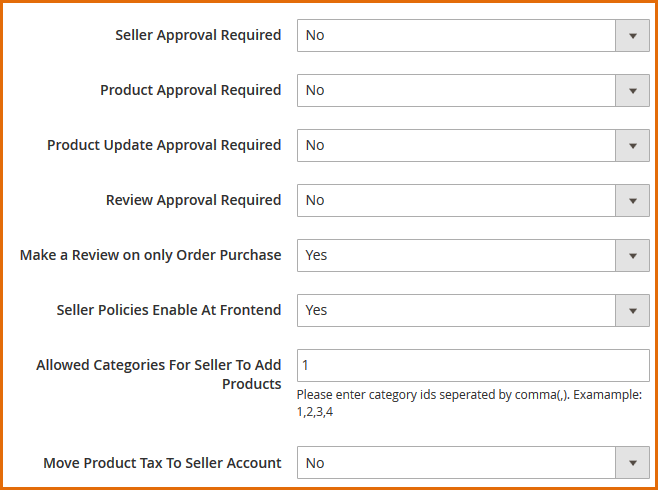 Make a Review on only Order Purchase: Select Yes to enable review function on only purchase. If admin choose Yes, customers only can write the review for product when they buy it. Seller Policies Enable At Frontend: Select Yes to enable the policies for seller in frontend, the sellers can write their own return policy and shipping policy for your store to display in frontend. Transaction Key: Type the transaction key, this key is encrypted secure. 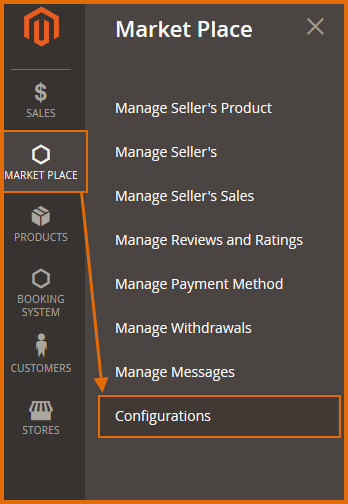 When sellers add products in the frontend, the products will be managed in this section. As you can see in the figure above, the Seller’s Product list manage the product of seller. 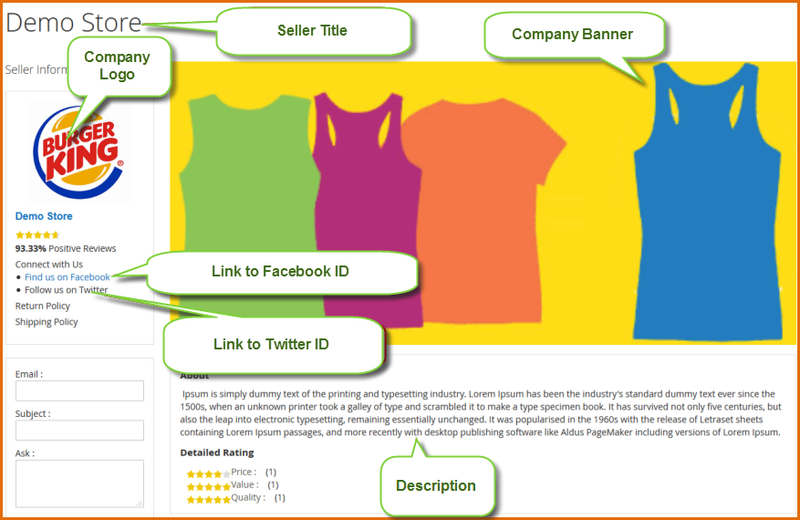 It displays Image, Seller Name, Product ID, Product Name, Price, Quantity, Status. You can view details of the seller by clicking on Seller Name from the list. When the sellers add a new product on their store, the product need to be approved. In this section, you can change the status of product. Step 2: From Actions select box, choose the status you want. It contains two values: Approve or Disapprove. Step 2: System navigates a user to Product Details page. Step 3: Change the value you want to modify. Step 4: Click Save button to save the information. The Sellerlist manage the seller’s information. 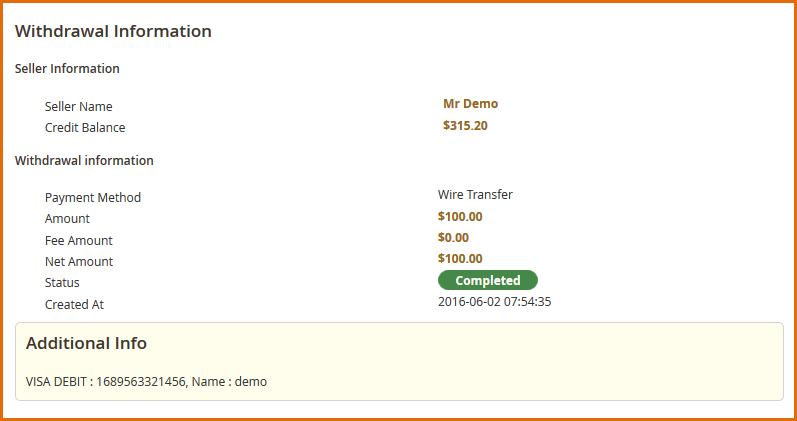 It displays Seller ID, Seller Name, Seller Email, Phone, Zip, Country, State/ Province, Status. When the sellers are registered an account, the seller needs to be approved. In this section, you can change the status of seller. 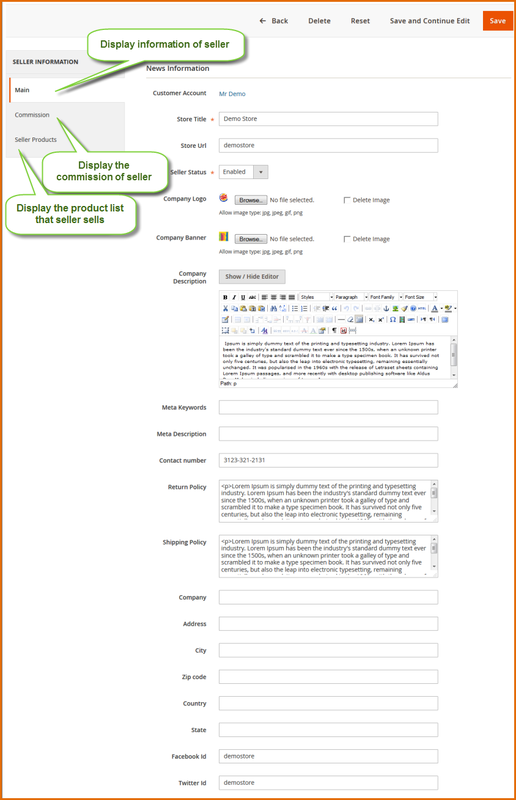 Step 2: System navigates the user to Seller Details page. In the Multi-Vendor Marketplace Extension, you are ease to manage the sales of Sellers. As you can see in the figure above, the Seller’s Sales list displays the Sales of Sellers. It displays Seller Name, Seller Email, Commission percentage, Total Sales, Total Commission, Amount Remain, Amount Received, Order. This section is to manage the Reviews & Ratings of Seller in Marketplace. As you can see in the figure above, the Reviews & Ratings list displays Seller Name, Price Rating, Value Rating, Quality Rating, Summary, Review, Status. 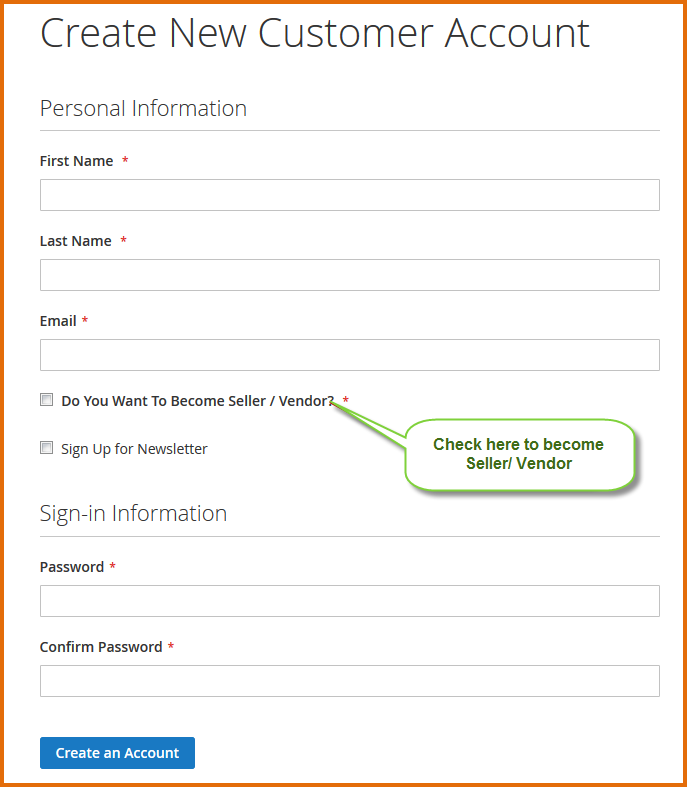 You can view or edit Seller information by clicking on Seller Name link from the list. One of the most important function for Multi-Vendor Marketplace Extension is manage Payment Method. Our extension is ease to manage the payment method. 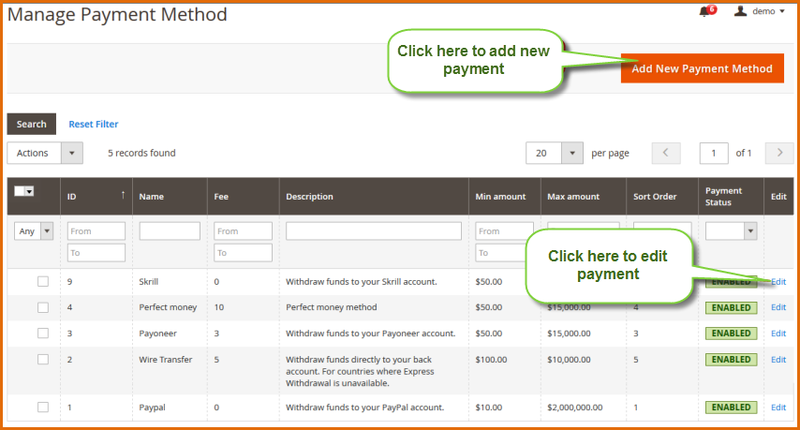 As you can see in the figure above, the Payment Method list displays Payment Method Name, Fee, Description, Min Amount, Max Amount, Status. You can view or edit Seller information by clicking on Payment Method or click on Editlink from the list. You can view or edit Seller information by clicking on Payment Method or click on Edit link from the list. 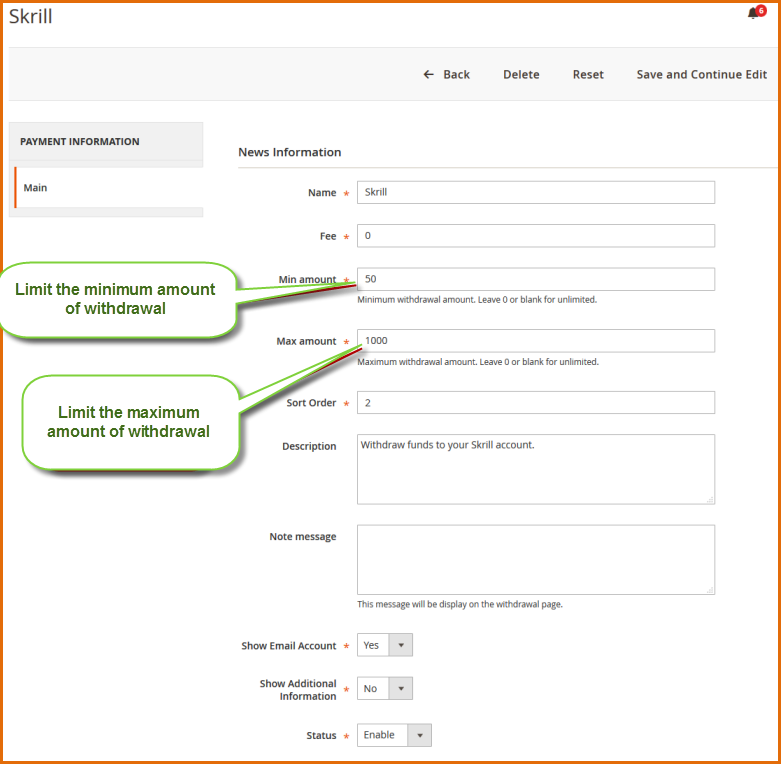 As you can see in the figure above, the Withdrawals list displays Seller ID, Seller Name, Amount of Withdrawals, Status. 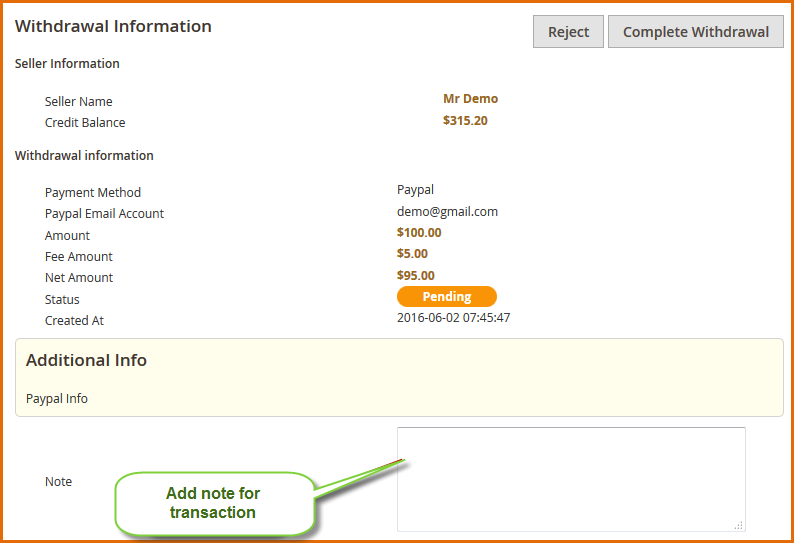 You can view Transaction information by clicking on View Transaction button from the list. 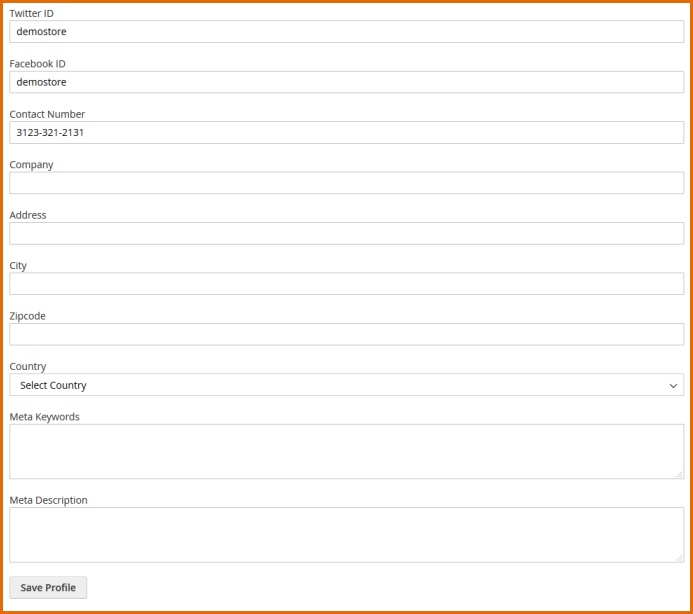 As you can see above, the transaction details contains Seller Information, Withdrawals Information and Additional Info. When the status of transation is Completed or Canceled, the transaction is read only. 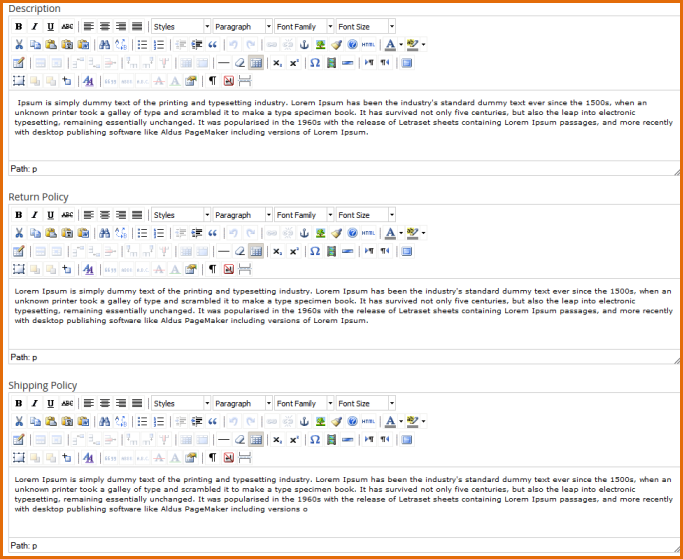 As you can see in the figure above, the Message list displays ID, UserID, Subject, Message Created Time, Status. You can view or edit Message information by clicking on Message Itemlink from the list. 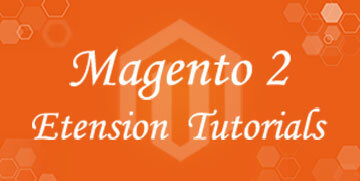 Above is our guide for Magento Extensions Marketplace. If you have any questions please boldly contact us. We will help you. Thanks for reading.